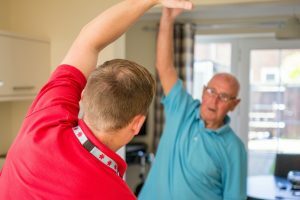 Virgin Care provide some adult community services across parts of Surrey and North East Hampshire. We provide a wide range of services including community nursing and wheelchair services among others. We began providing these services in 2012. We provide similar services across the country, where we’ve invested significantly in bringing services together and improving the experience for the people who use our services. Our staff have the skills and experience to make a real difference, so we empower them to challenge ‘the way things have always been done’. We’re also providing them with the latest tools, such as mobile working solutions, to give them more time with people using our services and make our service as safe as possible.